These foil sheets that you can earn as your free item only during Sale-a-bration are absolutely gorgeous! These are only available while supplies last. We have been told that there are only a limited number of these packs left but I can guarantee that you will love these as much as I do. You can earn these FREE with a $90 order through me. I made this card for my brothers birthday. Cogs are cut out from the Grapefruit Grove Foil sheet. They give off a great copper look on this card. 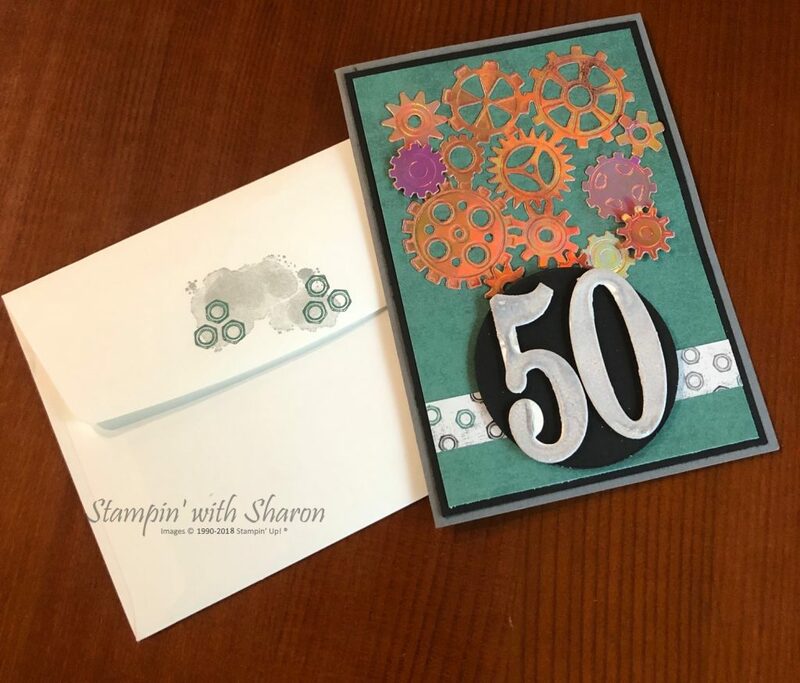 This entry was posted in Sale-a-bration and tagged Sale-a-bration by sharon. Bookmark the permalink.